Spring is on our doorstep here in Auckland and nature is visibly getting busy. It is the start of the growing season for many plants and the most active time of the year for many animals. For many ecologists it also means that field work season is starting. I am lucky enough to do my research in a more applied area of ecology. I get to go out into the forest and collect the data that forms the basis of my research myself. It is in fact the part that I enjoy the most and the main reason why I chose to work in ecology. 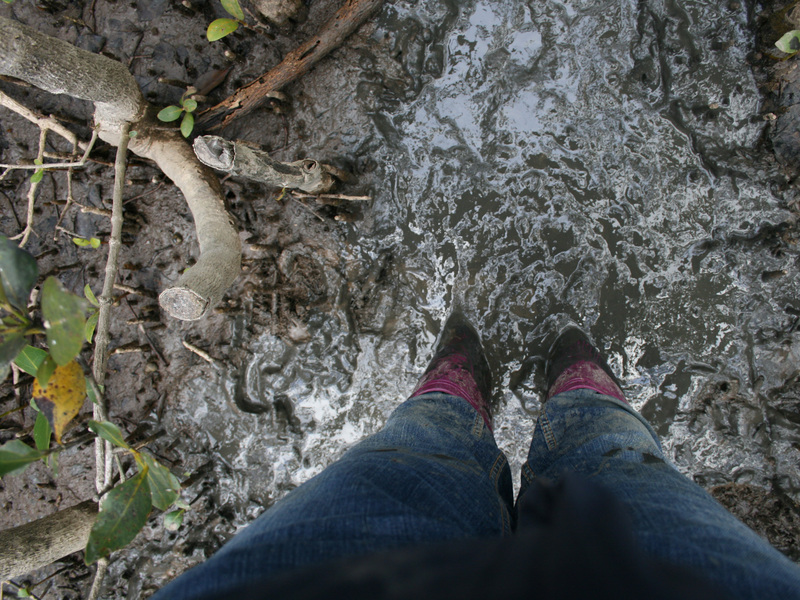 During more than a year of field work in New Zealand, I have been soaking wet, freezing cold and muddy from head to toe, but at the end of the day I went home happy and with pages full of data. 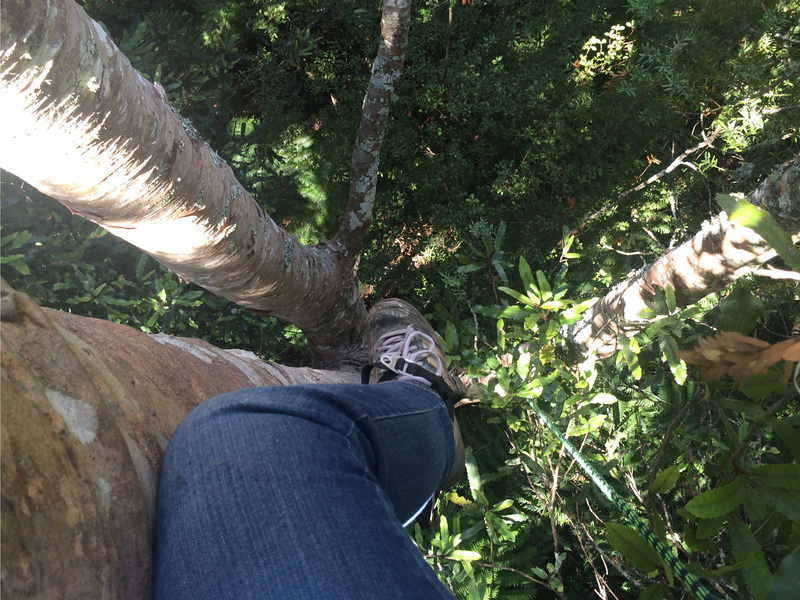 I have been hanging 15 metres high in the kauri forest canopy and freezing my feet off while taking predawn measurements in the mangroves. Field work is challenging and fun. It teaches you to plan and organise, to improvise and to find creative solutions, as things do not always go as originally planned. Who knew that the party supply store around the corner would turn into one of the best sources for field equipment? What else could you possibly do with these metre long party straws than put wood samples into them and there cannot be any other proper use for Styrofoam cups than to use them as a radiation cover for temperature sensors. I also learned that a pressure bomb is a good thing and have significantly increased my electrical skills by building and connecting sensors. You also know that you are working with pretty cool instruments when your supervisor seems to be more worried about the machine dropping out of than canopy than about the PhD student who holds it. All this I have to admit came at a price. I probably lost several litres of blood to mosquitos and a scar on my middle finger will always remind me that soldering irons are extremely hot, not that I really needed that reminder. Field work lets you see the world with different sometimes slightly nerdy eyes. It is exciting and rewarding to see theory come to life, even if it is sometimes unexpected. Someone recently told me that field work can become a little addictive and I can already see why. Want to improve the value of your home, reduce your stress levels, save on air-conditioning in summer and encourage birds into your garden? Trees can provide all of that, and often the larger the tree the larger the benefits. The value of urban trees and green-spaces are many. A recent symposium drew together a diverse range of practitioners, researchers, policy makers, and planners – from New Zealand, South Africa and Mexico, to USA and Europe. There is a voracious appetite for sharing ideas and knowledge linking together social, environmental and economic strands to build resilient cities. Finding the sweet spot that balances potentially competing demands is a challenge, so the opportunity to exchange ideas and resources was fruitful. What are the social implications of greening cities? If adding trees increases property values, does this drive-out lower socio-economic groups? How can we make this more equitable so all sectors of community benefit? How do we best protect urban forests? Recent changes which removed blanket protection of urban trees in Auckland New Zealand potentially leaves socially deprived areas more vulnerable to losing trees. Detroit (Michigan, USA) was suggested as a city to watch as innovative, community based ventures turn urban collapse into urban renewal. How do we adequately measure less tangible benefits of urban green? Does it matter how frequently we visit? 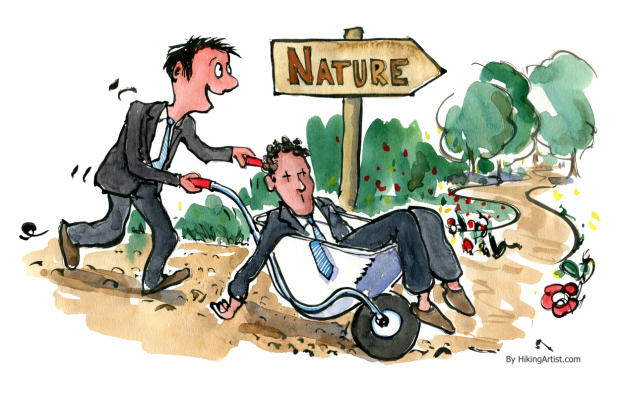 What contribution does the ecological quality or type of urban green make to our well-being? While policy and practice currently emphasise physical and mental benefits, people using urban parks and riverscapes also report feeling calm, relaxed, or more emotionally attached to the green space after being there. In today’s pressured lifestyles, such greenspaces provide invaluable “timeout”. Watch out for publication of Kate Irvine’s fascinating research in this area. In times of austerity, we need to find new financial models for adding and maintaining urban green/open space. There are financial benefits: we know people are willing to pay more to live on a “green street”. Ian Mell’s research on blending practice and policy brought useful insights to better planning and implementation to improve the liveability of cities. There are many citizen science projects where people can help to collect data that can be used to study biodiversity in urban areas. For example, in Auckland NZ there is a project collecting data on the distribution and abundance of a large endemic wood pigeon, while the treezilla project aims to make a monster map of trees in Britain. Does new green infrastructure actually reduce biodiversity by replacing naturally rewilding areas with “manicured” green? 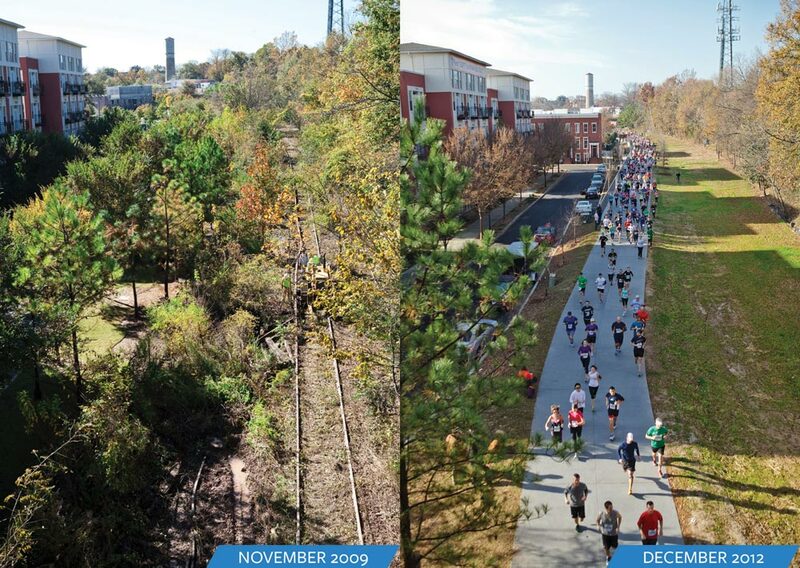 The Atlanta Beltline converted disused railway tracks into 23-mile recreational greenway which is designed to integrate an evolving ecological landscape into the everyday lives of the city’s residents. The Atlanta beltline was used as an example of an innovative funding model for greenspace, while at the same time there was concern that it had resulted in loss of biodiversity. But is this an acceptable trade-off in some urban locations where biodiversity aspirations are unrealistic? How are we to manage competing demands on our green spaces? Perhaps it is time for ecologists to move beyond advocating primarily for native trees to enhance biodiversity, but instead incorporating non-native species if they tolerate future climates and pests. 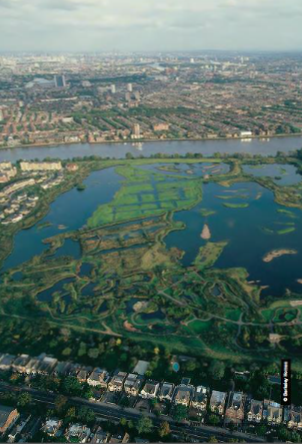 The London Wetland Centre welcomes about one million visitors a year of which 50,000 are school children to learn about wildlife and conservation in urban areas. Around the world there are many exciting urban greening initiatives we can all learn from. GRaBS provides some excellent case studies which share experience and good practice on how to integrate climate change adaptation into urban and town planning. In addition, London has an extraordinarily successful wetlands centre, Paris has brought in legislation for green roofs on all new industrial buildings, Portland (Oregon, USA) offers “treebates” to residents planting trees in their gardens, and Manchester has a growing number of beehives on urban buildings and four UK cities have set up an experiment to assess how best to improve cities for wild pollinators. What is your city doing? We’d love to hear new initiatives from other countries. The authors of this article all participated in a symposium on restoring urban ecosystem function at the World Conference on Ecological Restoration held in Manchester 26 August 2015. I have a bone to pick with you. Maybe you’ve been too busy fighting crime and/or Superman to notice that sky glow from artificial light sources is a global issue. Light emitted upwards from artificial sources is scattered by molecules in the atmosphere, creating a glow that is brighter than the natural night sky. Aside from making it harder to sneak around in your Bat-Plane, sky glow also reduces star visibility (and therefore sights like these), and has a myriad of potential impacts on the environment. It is for this reason that I find your use of the Bat-Signal downright irresponsible. You see Batman, when it comes to outdoor lighting there are three main ways to reduce sky glow. The first is to reduce light trespass into the night sky by shielding or directing the light source downwards. The second is to reduce the amount of light emitting into the night sky by dimming or switching off the light source. The third way is to reduce the scattering of light in the night sky by avoiding light sources that emit strongly in the blue part of the spectrum (as short wavelengths scatter more). Ideally these three methods should be used together. Props to you for somewhat shielding your light with a bat symbol, but I can’t help but feel that this is due to aesthetics, rather than good lighting practice. 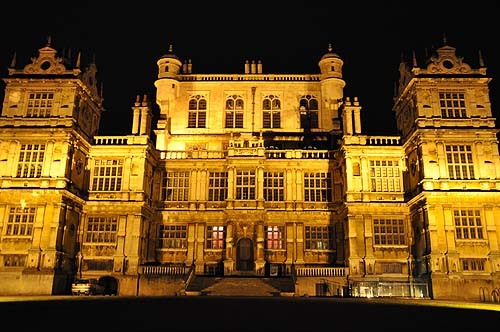 While we’re at it, does Wayne Manor really need that much outdoor lighting? 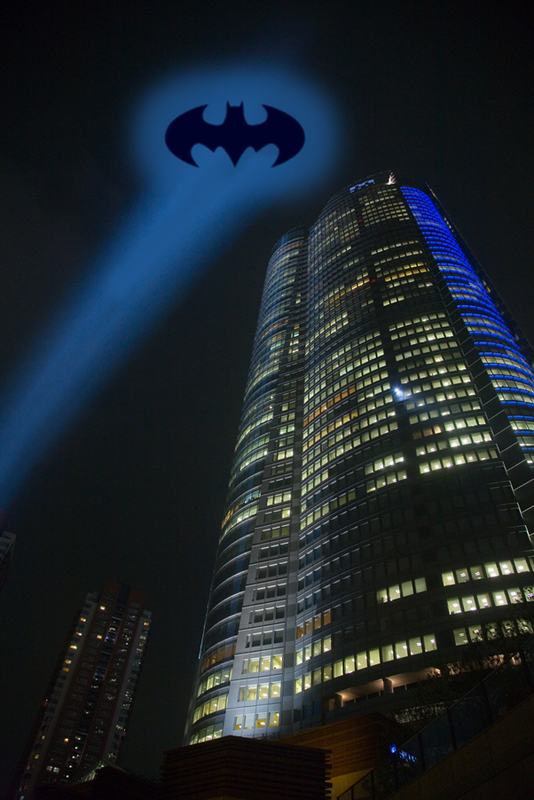 In short, your Bat-Signal is polluting the night sky with its bright, upward emitting white light. Don’t take my word for it, go ahead and measure Gotham’s sky glow for yourself. I use a Sky Quality Meter (Unihedron) for my research, but there are also various apps you can easily access and use with your Bat-phone (e.g. Dark Sky Meter or Loss of the Night). You can test for yourself the variations in sky glow around your city, and help out with citizen science while you’re at it! Honestly Batman, you’re known as the Dark Knight. Please at least try to live up to that. 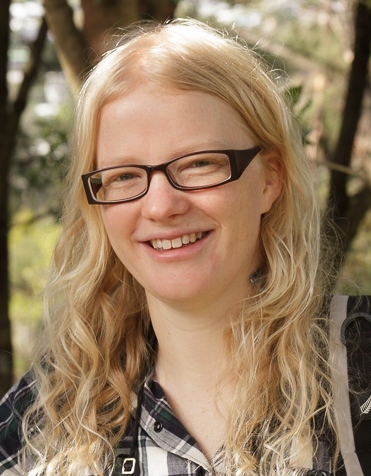 Ellery McNaughton is a PhD student in the Centre of Biodiversity and Biosecurity, School of Biological Sciences, University of Auckland. Her project will investigate the effects of a city-wide changeover in streetlight technology on urban bird behaviour and ecosystem function. She is supervised by Margaret Stanley, Jacqueline Beggs, Kevin Gaston (University of Exeter, UK) and Daryl Jones (Griffith University, Australia).